A copyright is a legal right given by Law to the Creators of Literary, Dramatic, musical and artistic work and Producers of cinematograph films and sound recordings. In India Copyright is registered under the Copyright Act 1957. Registration of copyright protects your creativity from being stolen or duplicated and gives a confirmed legal right over your creation. Copyright Registration serves as a prima facie evidence in the court of Law in case there is any dispute over the ownership of work .This copyright registration gives the owner legal protection for his/her creative work. A registered copyright can be used for marketing and creating your own quality standard in the minds of the customers. Registered Copyright shows that you value your work and you are serious about your Copyright infringement. This deters unauthorised reproduction of your work. It provides the owner with a lot of legal remedies to his aid. Why should one file for a Copyright Registration? Copyright Protection is provided to all literary, dramatic, artistic and musical works on creation of it. It is an inherent right and does not require a formality procedure. 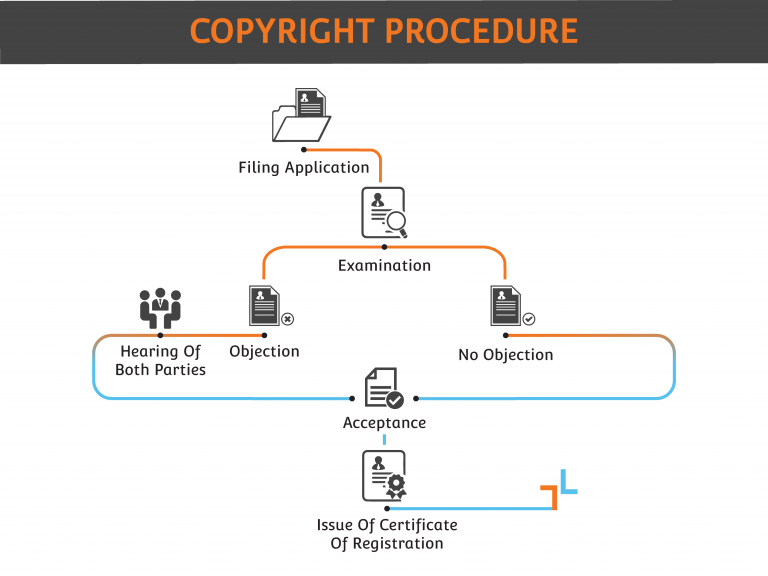 However, applying for a copyright Registration and obtaining a Certificate serves as a prima facie evidence in a legal dispute in case a Copyright infringement or a dispute relating to ownership occurs. Copyright Registration creates a public record of ownership to take a legal action against infringers in a Court of Law. If copyright registration is made any time prior to infringement of the copyrighted work, the Copyright owner is permitted to claim statutory damages in a High Court. Without the process registration only an award related to actual damages and profits will be made available, and that too can be very complicated to prove in the court of Law. It permits Copyright owners to record the Registration with Indian Customs to help protect against importing of infringing copies to India. Devoid of Copyright Protection it would be very easy for people to take advantage of someone’s creative work without paying any royalties or remunerations to the title holder of the work. Therefore, it results in economic profit for the creator of the work. Copyright Registration creates a pathway for creators/authors to be consequently rewarded for their originality and inputs. One can openly exhibit his work once his Copyright is protected from infringement. Copyright Registration creates an intellectual property which is an intangible asset. Registered Copyright is a right that can be franchised or commercially contracted. A copyright is valid for 60 years. In case of original literary, dramatic, musical and artistic works the 60 year period is counted for the lifetime of the author plus 60 years following the death of the author. In case of cinematograph films, sound recordings, photographs, posthumous publications, anonymous and pseudonymous publications, government works, works of international organisations the 60 year period is counted from the date of first publication. What works are registrable under the Copyright Act? Who can apply for a Copyright? An individual who is the rightful owner/author/creator of the said work, his legal heir or assignee can file an application for registration of copyright of a work. What are moral rights? Can moral rights be assigned transferred or licensed? No moral rights can be transferred assigned or licensed by the author/creator. They can only be ignored by the author/creator. Can copyright be attained for unpublished work? Yes, copyright can be attained for both published and unpublished works. A Trademark Registration protects your brand name, logo or slogan, whereas, a copyright registration protects your unique content like a book, music, videos, songs and artistic content.